Dhaka, Bangladesh – The leader of the main opposition Bangladesh Nationalist Party (BNP) has said that Sunday’s general election was a “fraud” and marred by widespread irregularities. “Yesterday’s election was totally fraud,” Mirza Fakhrul Islam Alamgir, the general secretary of BNP, told Al Jazeera after Prime Minister Sheikh Hasina registered an unprecedented victory. The ruling Awami League (AL) captured 288 out of 298 seats for which elections were held, winning a whopping 96 percent of the seats, drawing criticism from the opposition. “Ballot papers were stuffed on the night before the election. Except for few, irregularities were found in almost all the constituencies. It was preplanned, and the result was decided much earlier,” Alamgir alleged. The BNP leader said that the vote rigging was facilitated by “the government agencies, the police and other law enforcement agencies in collaboration with election commission officials”. This election will destroy people’s remaining faith in election system in Bangladesh. “This is a mockery of democracy. 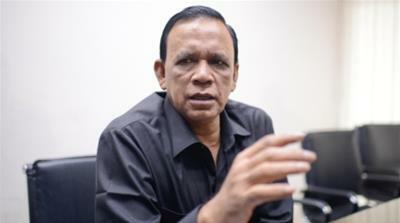 Bangladesh has lost an opportunity to comeback to democracy,” said Alamgir, who is among the seven candidates to win their seats. The opposition party had boycotted the last election held in 2014. The massive win reminded of the controversial February 1996 parliamentary elections in which the BNP won 278 seats amid boycotts. It had triggered countrywide protests forcing the BNP out. Later on Monday, the opposition alliance Jatiya Oikya Front (National Unity Front) re-iterated their demands for fresh election under a “nonpartisan government”. “A drama in the name of national election was staged yesterday and the countrymen perceived from their hearts that how the election process of a sovereign country was destroyed,” Kamal Hossain, convener of the Jatiya Oikya Front, said at a press conference on Monday. Hossain, a former ally of Hasina and a well-respected jurist, became the face of the opposition alliance as the BNP leader and former Prime Minister Khaleda Zia was barred from polls because of corruption conviction. The front said it will submit a memorandum to the election commission on Thursday. 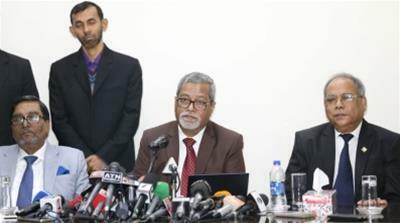 But at a press conference held at the election commission office in Dhaka Chief Election Commissioner (CEC) KM Nurul Huda put to rest the opposition demand for re-election. “There is no scope to hold the national election again,” Huda said a day after the 11th general election. The CEC on Monday put its stamp on the unofficial results, and added that the voter turnout in the violence-marred polls was 80 percent. The fatigue of the month-long election process was visible on Dhaka’s roads on Monday where traffic was thin with para-military vehicles still making rounds of the streets. Meanwhile, many Bangladeshi voters came on social media to share their stories, some of them complaining of irregularities on the election day. Shaquib Ahmed, a Dhaka resident, told Al Jazeera that he was kicked out of the polling booth after he voted for the BNP. “There was no curtained area in the room to vote. As I put my seal on the BNP symbol a man standing beside me snatched the ballot paper away and shouted, ‘what do you think you are doing? '” he said. The 34-year-old Ahmed says he was later abused at Dhaka’s Tejgaon College polling centre. “I did not protest as there were other people with him and it was very intimidating,” Ahmed told Al Jazeera. Mahbub Uddin Khokon, a former BNP member of parliament, blamed the “fraudulent” election for his defeat in Noakhali 1 constituency. “The election commission and the government collectively committed fraud against the nation, the voter, and the constitution,” said Khokon, who is the secretary of Supreme Court Bar Council. “The night before the election they stuffed ballot boxes in each centre with the help of the police,” he alleged. But Prime Minister Hasina, who is set for a fourth term in office, rejected the vote rigging charges, saying people voted her party to power for development work done in her 10-year rule. “The countrymen have gained benefit of the development work of my government, and thus they cast their votes for us,” She told foreign observers on Monday. Hasina has led Bangladesh on path of rapid economic growth and plans to turn this poor South Asian nation of 160 million people into a middle income country by 2021. 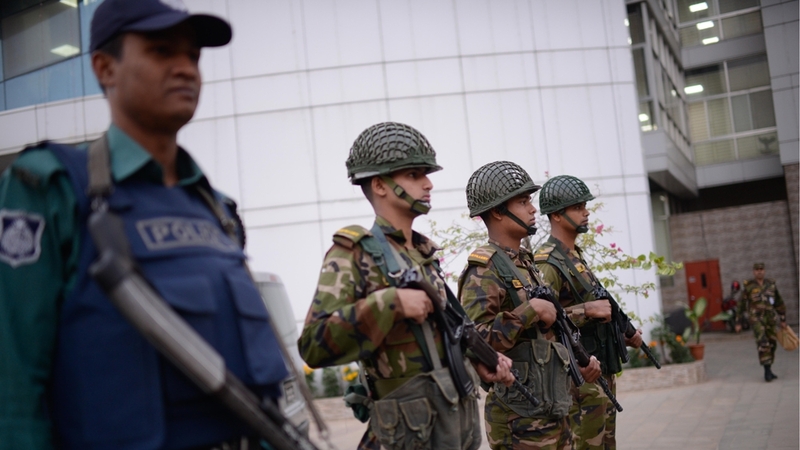 An election observer from India, a close ally of Bangladesh, lauded election as “peaceful”. Indian Prime Minister Narendra Modi was quick to congratulate Hasina on securing absolute a majority in 350-member parliament. Another 50 seats are reserved for women. Many observers from South Asian countries, Al Jazeera spoke to, said that some polling stations were not crowded and in many cases wore a deserted look. Abdur Rahman Salah Rasheed was one of the election observers who was taken to four polling stations in Gazipur. Rasheed, the acting secretary general of election commission of Maldives, said that in the morning polling centres were “deserted”. “We asked them why there are not many people. They told us it was foggy and early morning. Some of the places were crowded though. One member of observer mission, who refused to be identified, showed his bafflement at the scale of the ruling party’s victory. At least 19 people were killed in Sunday’s election, which was marred by reports of voting irregularities such as ballot stuffing and intimidation. An observer team from the Organisation of Islamic Cooperation on Sunday said the vote was peaceful. “We have heard the news about the deaths, but they do not reflect the overall situation, which was peaceful,” it said in a press release. “The election was credible based on all acceptable standards,” Hameed A Opeloyeru, the head of the observer team told reporters. The election was credible based on all acceptable standards. But Transparency International Bangladesh (TIB), in a written statement released on Monday, expressed concern at the allegations of misconduct during the election. It called for forming a judicial committee to investigate the allegations. Leading up to the polls, opposition complained of mass arrests and intimidation by police and ruling party supporters, but the government said the accusations were “exaggerated”. Asif Nazrul, a professor of law at Dhaka University, said “the election will destroy people’s remaining faith in election system in Bangladesh”. “It was not an election at all. It was an ugly and brutal hijacking of people’s right to choose their representative by all the state apparatus in alliance with ruling party goons. “It would lead into tyranny and hurt the dignity of the society very deeply,” he said.